Corsican general and patriot, was born at Stretta in the parish of Rostino. He was the son of Giacinto Paoli, who had led the Corsican rebels against Genoese tyranny. Pasquale followed his father into exile, serving with distinction in the Neapolitan army; on his return to Corsica he was chosen commander-in-chief of the rebel forces, and after a series of successful actions he drove the Genoese from the whole island except a few coast towns. He then set to work to reorganize the government, introducing many useful reforms, and he founded a university at Corte. In 1767 he wrested the island of Capraia from the Genoese, who, despairing of ever being able to subjugate Corsica, again sold their rights over it to France. For two years Paoli fought desperately against the new invaders, until in 1769 he was defeated by vastly superior forces under Count de Vaux, and obliged to take refuge in England. 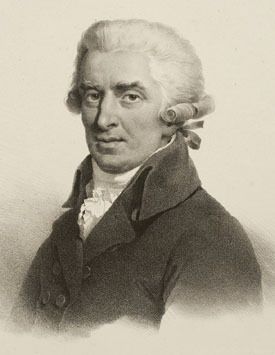 In 1789 he went to Paris with the permission of the constituent assembly, and was afterwards sent back to Corsica with the rank of lieutenant-general. Disgusted with the excesses of the revolutionary government and having been accused of treason by the Convention, he summoned a consulta, or assembly, at Corte in 1793, with himself as president and formally seceded from France. He then offered the suzerainty of the island to the British government, but finding no support in that quarter, he was forced to go into exile once more, and Corsica became a French department. He retired to London in 1796, when he obtained a pension; he died on the 5th of February 1807.